Through the IVLP program, World Partnerships engages the world’s “New Generation” by connecting them with Tampa Bay's vast professional, historical, cultural and education resources. It’s not just about Tampa Bay’s outstanding colleges and universities; it’s about new and world-class “centers of excellence”, like Marine Sciences, Economic Education & Entrepreneurship, Orthotics & Prosthetics Design & Manufacturing, Healthcare, and Port and Maritime Security. It’s not just that Tampa Bay has an array of newspapers and television stations; it’s about Pulitzer Prize-winning journalists at The Tampa Bay Times, The Poynter Institute for Media Studies, La Gaceta (the only tri-lingual weekly newspaper in the US), Nielsen’s global headquarters, major market public broadcast networks, and the birthplace of the first digital encyclopedia, Wikipedia. In other words, it’s about Tampa Bay’s Media and Journalism Center of Excellence. Tampa Bay is also about the unique cultural heritage of the largest single artist collection of Salvador Dali outside of Spain (St. Petersburg), and Frank Lloyd Wright’s architectural design for a small private college campus (Lakeland), and the John & Mabel Ringling gifts to the world in art, design, entertainment and education (Sarasota). All of which are world “brands” – and all of which can be seen and experienced in the Tampa Bay Region. All eight counties of the region are involved in a “Creative Communities” initiative to expand the quality of life in the region through the arts. And, whether it's a visit to Florida's world-class citrus research center, the crystal clear waters of Florida's natural springs, a briefing at US Special Operations Command and US Central Command, a roundtable at one of America's premier cancer research centers, or a walk through Florida's largest solar energy farm, it's all happening in Tampa Bay! 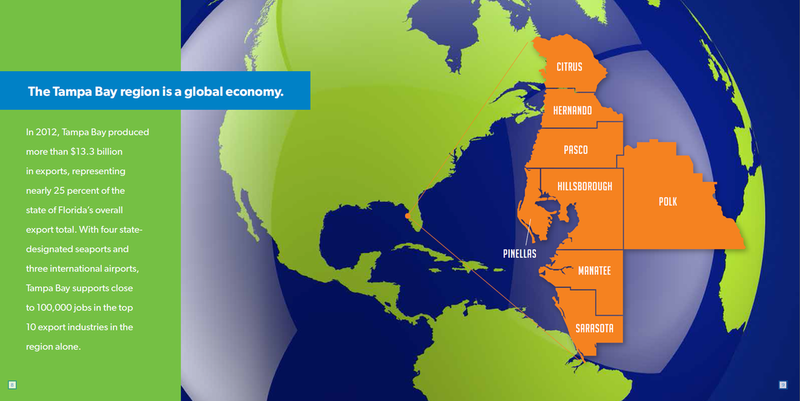 Since 2000, World Partnerships has brought over 4,800 official visitors from 190 countries to the Tampa Bay Region. 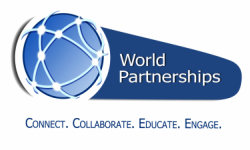 World Partnerships has hosted a number of US Department of State "special projects", including:“IVLP Gold Star Alumni Tour”, "Towards A More Safe and Secure World", “100 Years | 100 Women”, Israel/Palestinian Authority “Peace Partners”, “Women in Public Service”, “Edward R. Murrow Program for Journalists”, “I-Vote”, Republican National Convention Election Project, "Trade Along the New Silk Road", "Global Threat Cooperation" and "International Women of Courage". Explore a partial listing of our professional and community resources here! Images of the IVLP Around Tampa Bay!